From the land of the famous Maccheroncini, Marcozzi di Campofilone. 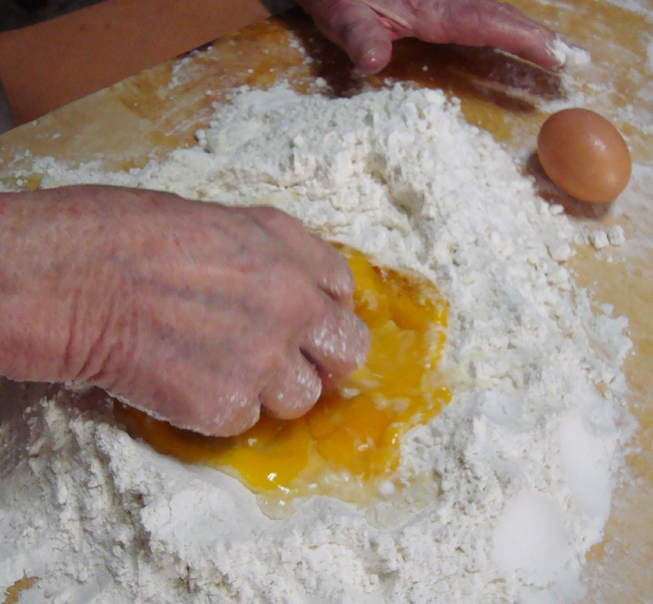 The family-run pastificio that has been producing the authentic egg pasta of Campofilone for more than 20 years. Here, the secrets of the past and the productive innovation blend together without forgetting to keep the artisanal quality. 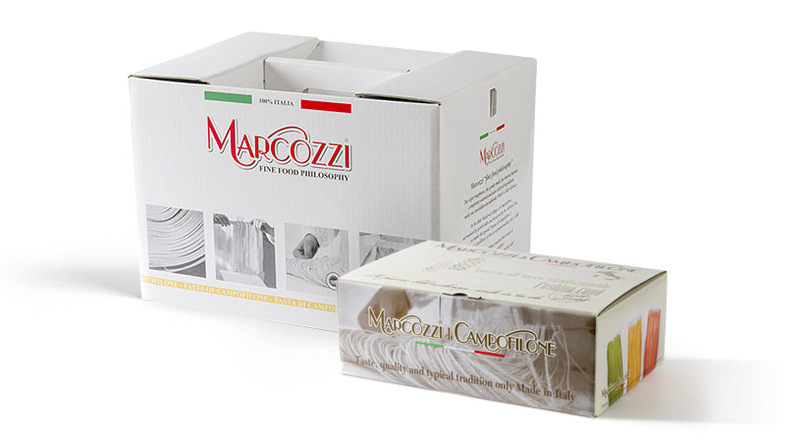 Marcozzi di Campofilone is the performer of a patient growth path. From the small artisanal workshop to a modern and structured company, Marcozzi keeps following the changes to always keep in step with the times. An always expanding range of products, present on the tables of the whole world. The pasta of Campofilone in the name of tradition. 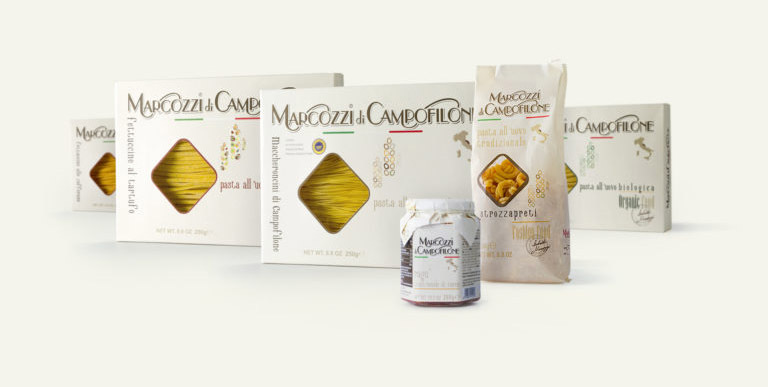 Discover the wide range of Marcozzi di Campofilone egg pasta. Made today as it was made in the past. Thin, porous, and with an excellent cooking yield. Simple or special, to enjoy at home or in a restaurant, or to give as a delicious gift. 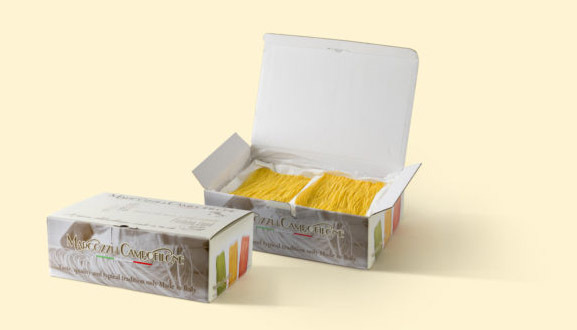 Always made with simple and natural ingredients: only durum wheat semolina and fresh eggs with guaranteed origin. For a delicate and unique taste. From the selection of the raw materials to the bronze-die extrusion, from the low temperatures slow drying to the strict quality controls. 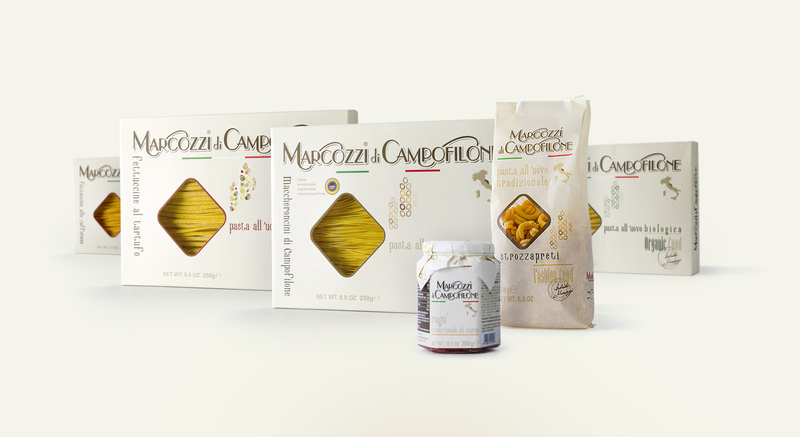 Our egg pasta is born from a production chain bound to the territory of Campofilone, with natural ingredients, and an ethic vision oriented to the respect of our planet and people. 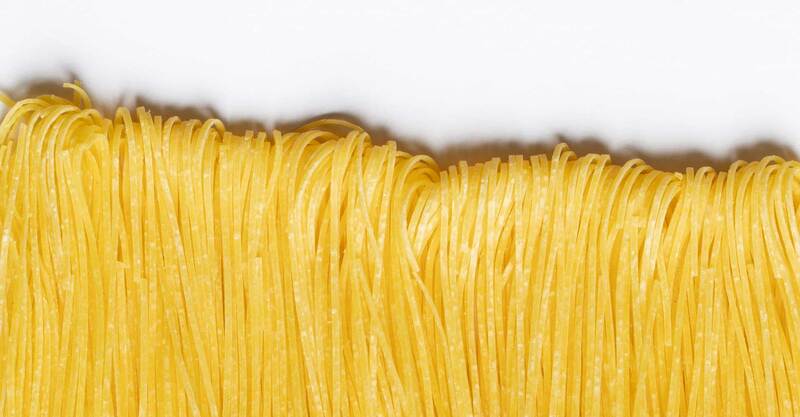 How our artisanal pasta is born. 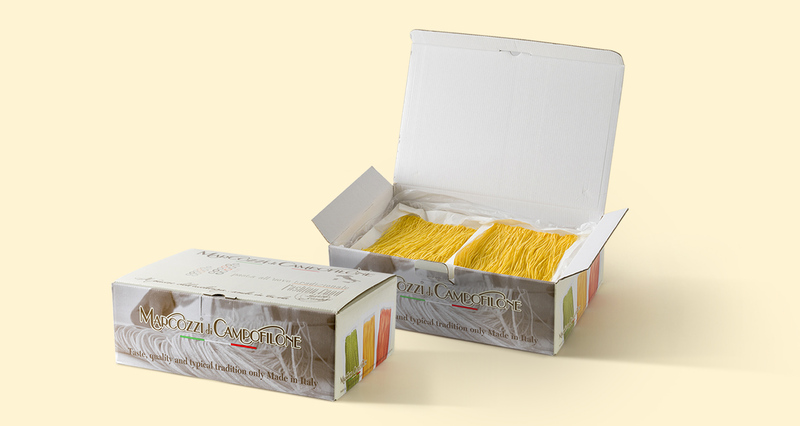 Marcozzi di Campofilone offers a wide range of egg pasta in the Food Service line dedicated to restaurants. Traditional specialities of Campofilone, fast to cook and with an excellent cooking yield, for the most creative uses in the kitchen.